Brunch, in my opinion, is the best meal of the day and something I love to do when the weekend comes around. 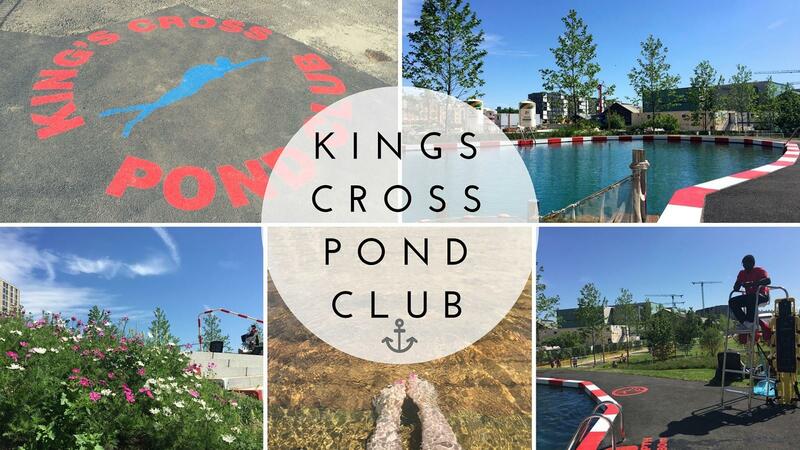 Seriously, meeting friends for a leisurely late breakfast and sometimes a cocktail or a glass or two of bubbly takes a lot to beat. 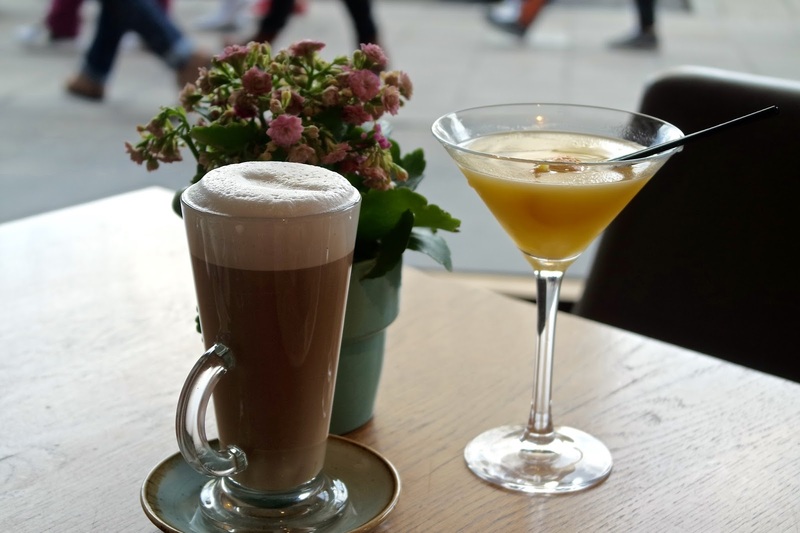 While I have been lucky enough to check out some of London’s more luxury venues (such as Avenue – which if you’re looking for bottomless bubbles is fantastic) my budget doesn’t allow for this every week and one of my favourite places to grab a casual brunch is at my local All Bar One. With branches all over the UK, most people associate them with going for a drink and many people don’t even release that they serve food, never mind that they’re open from 9am on weekends (and 8am in the week) with an extensive range of breakfast and brunch options along side their other menus. After looking at a few potential locations for brunch, last weekend my friend Amber and I settled on meeting at the Waterloo branch of All Bar One – a short walk from the Southbank. The venue is decorated in All Bar One’s normal modern style and when we arrived at around 11.30am it was already full of people enjoying coffees, breakfast and a drink or two. We were lucky enough to get a table right beside the glass frontage, which due to the large footfall of tourists heading towards various attractions in the area it made a fantastic spot for people watching. The menu offers a large range of cooked and continental brunch options with something to suit every taste. Alongside this All Bar One offers various hot drinks, juices and pastries and of course a few breakfast cocktails (after all cocktails are what the city bar chain is best known for). While we browsed the menu I ordered an americano and Amber a latte, and since it was the bank holiday we both decided to treat ourselves to a breakfast martini too. Made with a mix of Cîroc grape vodka, peach schnapps, orange liqueur with marmalade and orange juice, it was the perfect accompaniment to our meal. After a few “but they all sound so good!” moments, Amber decided on the eggs royale with avocado and I chose to pig out and get the full breakfast with pan-fried potato hash to the side. Despite the place being extremely busy by this point and nearing a lunchtime rush, our food came in good time which is always a relief. Everything was well presented and most importantly, delicious. 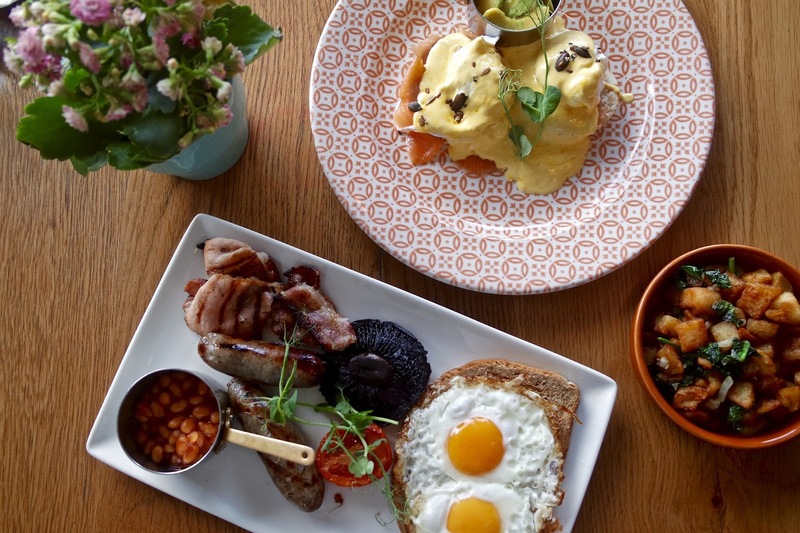 Because a full breakfast has so many elements, it’s not an easy thing to get right however All Bar One certainly managed to. 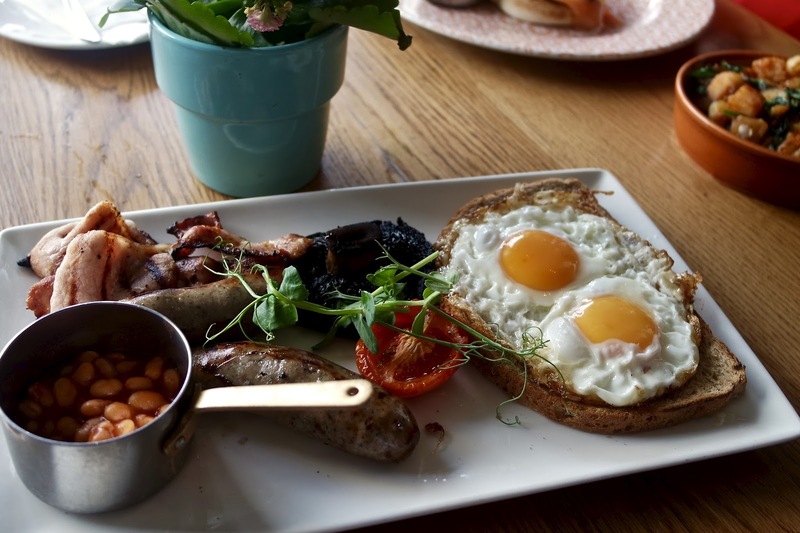 The quality of the sausages and bacon was fantastic for the price (something that in a lot of places is skimmed on), the eggs were still runny to cut into and serving the beans in a pot means if you’re not fan it doesn’t touch any other parts of the breakfast. Although there was so much that I didn’t really need the potato hash, they were too yummy to leave. Amber’s looked just as good and said that the eggs were perfectly poached and the hollandaise was rich and creamy. Feeling rather full and not quite ready to make our way past the tourists at the London Eye, we decided to order another cocktail. Originally, we were going to order another breakfast martini as we’d enjoyed the last one so much, however when the waiter offered us the full drinks menu the “Gin Berry Cobbler” caught our eye and we couldn’t resist changing our order. Made with cucumber and rose infused gin, pinot noir and muddled berries it was my idea of heaven. 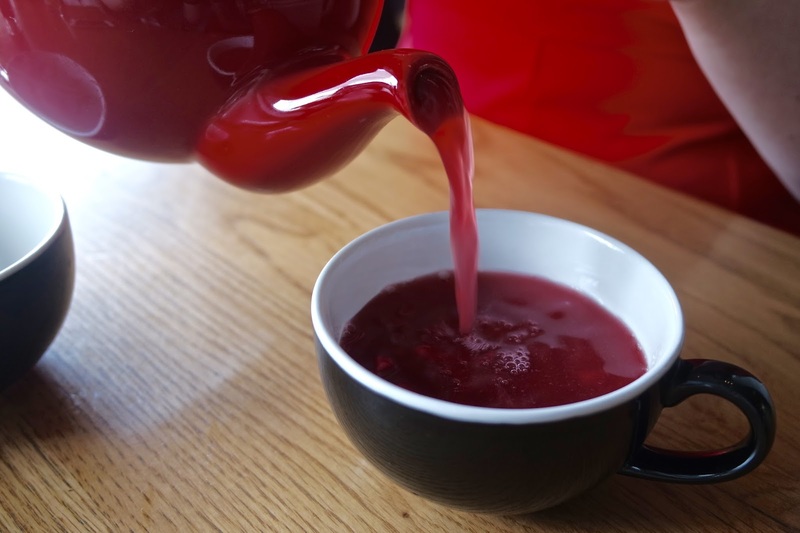 Best of all, it was served in a bright red tea pot with matching cups to drink, how cute is that?! It was so fruity and refreshing that I could have drank it all day, but with it only being around 1.30pm at the time ordering another might not have been our best idea..
Brunch options at All Bar One start at £4.25 (although different areas may vary) with many offering a £10 “lazy brunch” deal including breakfast and a cocktail. For the quality and level of service, I feel this is an absolute steal. While this wasn’t my first All Bar One brunch, it certainly won’t be my last. 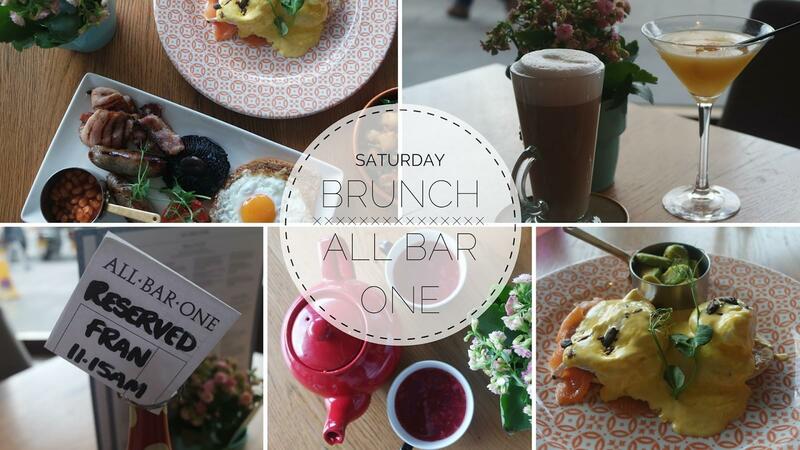 Have you been for brunch at All Bar One before? What did you think? *I was kindly given vouchers towards my trip by All Bar One however as always; all opinions are my own.